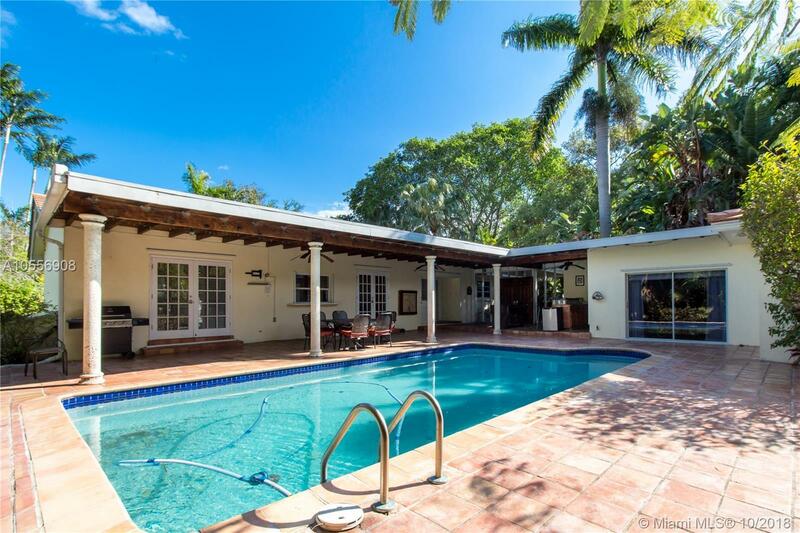 Fenced property at end of cul de sac on large lot overlooks quiet serene canal in neighborhood of Palmetto Bay. (Southwood, Coral Reef, Palmetto Sr schools). Main house has 4 bedrooms (three in one wing) and 3 baths. Tile and laminate floor throughout. Living room overlooks yard and quaint screened porch. Very spacious family room on one side of home. Large eat in kitchen with French doors leads to covered patio and pool area. Wet bar outside ideal for entertaining;can easily accommodate large parties. Cabana room has full bath and closet. Ideal for live in maid or when guests come to visit. Two car garage and lots of parking area. With a little TLC/updating this is the perfect family home.